The public is invited to attend the Sail Newport Volvo Ocean Race press conference and Pep Rally on starting promptly at 10:00 a.m. 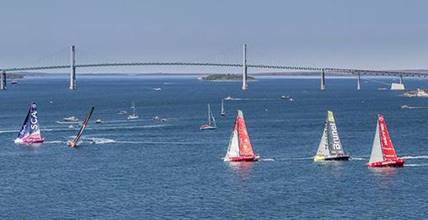 The major announcement will feature speakers from the Volvo Ocean Race and Sail Newport. The press conference will be held at Belle Mer, 2 Goat Island, Newport, RI, USA. The public is invited to attend as space permits and coffee and pastries will be served starting at 9:30 a.m. at Belle Mer. The Volvo Ocean Race is the ultimate ocean marathon, pitting sport's best sailors against each other across the world's toughest oceans. The legendary race that began in 1973 will start from Alicante, Spain in October 2017 and finish in The Hague, Netherlands in June 2018. Featuring almost three times as much Southern Ocean sailing as in the previous edition, the Volvo Ocean Race 2017-18 will be contested over the longest distance in the race's history at around 45,000 nautical miles, crossing four oceans and taking in 12 major cities on six continents.